Allosaurus(pronounced Al-oh-SAWR-us) Allosaurus, meaning "different lizard," was a huge, meat-eating dinosaur from the late Jurassic period, about 154 million to 144 million years ago. 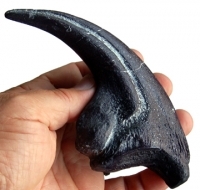 It was a theropod that lived in what is now the western United States. It was about 10.5 m long. The type species is A. fragilis. 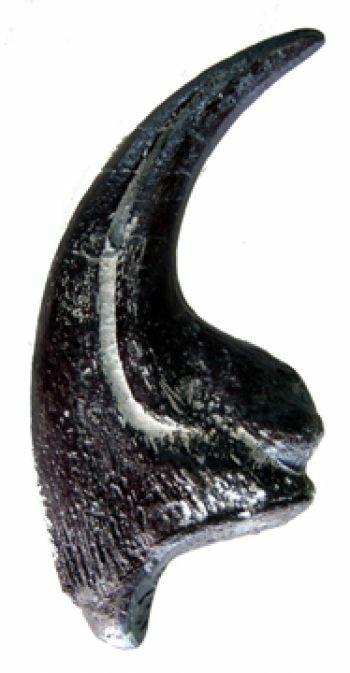 This replica claw is 7 inches long around the curve.